No two clients are the same and so every home should be unique. Our mission is to build a home that fits each family's immediate wants and needs, while taking into account future lifestyle considerations. We work alongside architects and designers to carefully consider a client's specific situation; the number of people in the household, the gender and age of every family member, and their particular preferences and interests. This "lifestyle profile" helps determine everything about a client's new home, from the simplest and most obvious, such as the number of bedrooms and bathrooms, to less common features such as personal and public entertainment areas, specialized storage space and architectural style. We encourage our clients’ to spend some time thinking about their current lifestyle, paying particular attention to how it might change in the future. A couple without children, for instance, might consider at least two secondary bedrooms (in addition to the master suite) that can serve as a home office, guest room, or a hobby space -- or, eventually, children's bedrooms. Floor coverings, cabinet and counter heights can be tastefully altered to promote ease of use regardless of one's physical state. Consider, too, ease of access to and around the house from the outside. You might consider at-grade entrances and solid, hard surfaces such as continuous walkways instead of paving stones. And don't forget the outdoors. For clients who relish the opportunity to spend the evening at the grill, we'll factor that into the design and layout of a new home. However, for those who prefer to lounge by the pool we'll focus on fabulous pool and spa designs. If you just cannot decide what your style is exactly and you need some inspiration, we invite you to view our gallery images on Houzz.com or www.cldesignbuild.com. We showcase every style from Farmhouse to French Country. You will surely find something to get the creative juices flowing. If you still need some direction our talented team of architects and designers can help you through the process. So what are you waiting for? 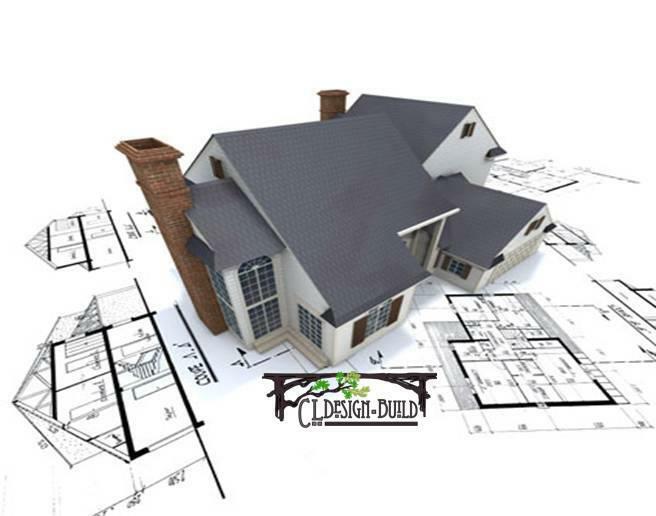 Contact us today at www.cldesignbuild.com or 630.882.8822 to get started on your new dream home!